Agricultural market information system is centralized and regular data about market of agricultural products collection and processing; placing relevant information to key market stakeholders. Although agricultural market information system is EU requirement, it has not yet been established in B&H at state level. AgroLink, first in Bosnia and so far only, with the support of the Norwegian government and USAID/Sida FARMA project, started collecting the daily wholesale price of fresh fruits and vegetables. Prices are collected from four wholesale markets in B&H and pricing information are available through the web portal and SMS services. AgroLink is the only service in the region that introduced and offers SMS service. Thus, users who do not have Internet access can obtain information via their cell phone. 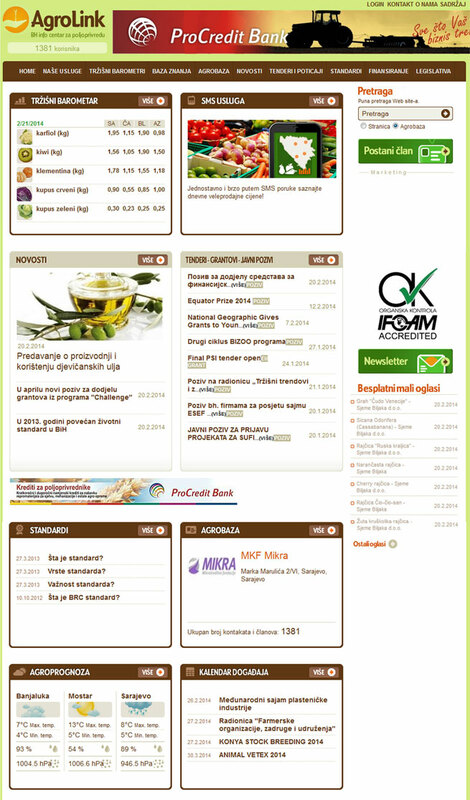 AgroLink have also launched a regional monitoring of wholesale prices of fresh fruits and vegetables in five neighbouring countries and weekly newsletter are distributed to all interested parties. The data collected are used for the various reports on pricing trends and history. The objective is to ensure transparency and equal access to information for agricultural producers, traders and consumers since they are the main stakeholders in the agricultural and food chain. In this way, bargaining power of those who produce, sell or buy agricultural products is enhanced. The best practice can also be used as the basis for creating better policies, strategies and programs of incentives by the relevant government institutions. Information provided by market information system helps in answering the questions that plague farmers and other interested parties: when to sell; whether to sell all later; whether to sell at local market, some other market or abroad; whether or not an investment in technology that will bring products on the market a few weeks earlier is worth; when to start and when to end production, etc. 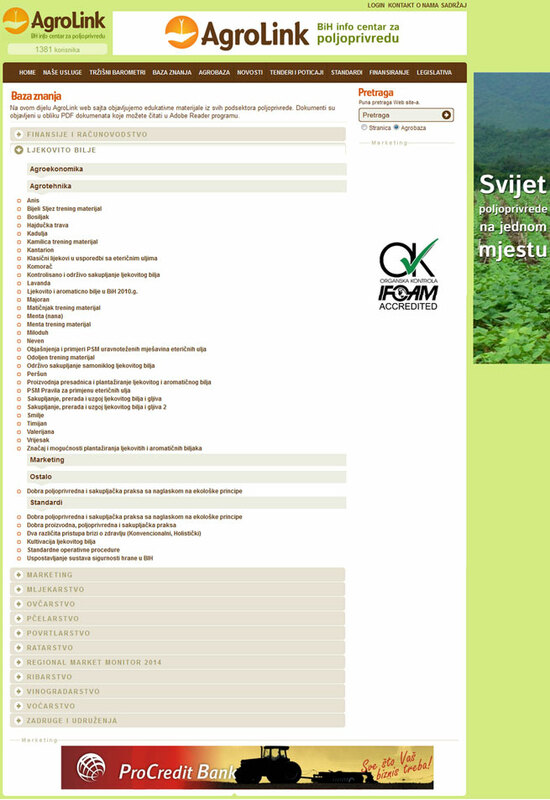 This example can be used to establish AMIS (Agricultural market information system) at the state level in Bosnia and Herzegovina since the EU demands any country wishing to join have established and functional AMIS at the national level. B&H still lacks AMIS at the national level. Further, the SMS service can be transferred and included in the AMIS services in neighbours’ countries that have established this system of monitoring only through the web portal.